There are lots of fashion apps on the App Store, but only one of them can be used by industry professionals who need to attend fashion events and do wholesale clothing buying. This app is called iMerchandise and it’s the only app that lets fashion buyers streamline wholesale buying process. iMerchandise is an iOS app designed to organize wholesale clothing buying and make it as easy, efficient and fun as possible. David Secul, a reputable fashion industry retailer with over twenty years of experience, combined his knowledge of the industry with Webservice-USA’s programming skills and created this great app. The main difference of iMerchandise from the competition is that it’s made especially for the wholesale buyer and not for the brand. With this app the buyer won’t have to deal with dozens of scribbled notes, piles of emails, and over the budget invoices. Everything can be done from within the app in a highly efficient and organized manner. iMerchandise has all the features a clothing buying app should have to cover everything, from taking photos at fashion shows to organizing and tracking deliveries. iMerchandise includes advanced camera functionality that makes it really easy to take photos of models at fashion shows and create boards using your shots. The app’s camera is self-focusing, so you won’t miss a must-have style because you had to fumble with camera settings. Once you have all your snapshots, you can start planning your purchases by organizing boards. The process is very similar to creating boards on Pinterest – you can populate boards with your photos, sort them by brand, season, color, or even your store’s sections, and share them on social media. The best bit is that you can avoid paperwork, send the pictures you made to your representatives and create orders really quickly. You can also sort your photos by events to keep things organized. 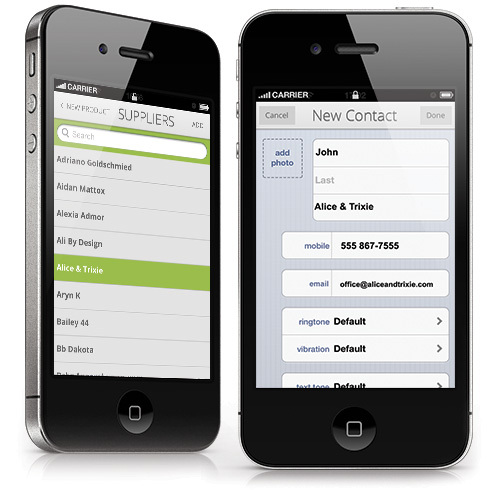 Another great feature of iMerchandise is that the app allows you to manage your products. You can organize them using style numbers, showroom purchase prices, shipping dates, sizes, colors and match each product with the photos you took. And, of course, you can share your products on Facebook and Twitter, print them out, and email them. In addition to being a fun fashion app, iMerchandise has everything you need to manage the serious stuff like orders, deliveries, and suppliers. You can check and double-check your spending and check your purchases against your budget graph (and see if you are exceeding your limits). iMerchandise is amazingly intuitive and easy to use. 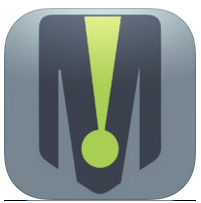 You don’t have to be an accounting pro to use all of the app’s features to assist you with wholesale clothing buying.